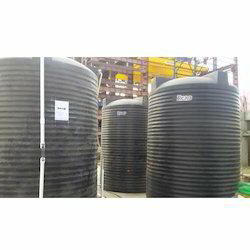 Manufacturer & Exporter of Water Tank & Reno Water Tanks. Our product range also comprises of RO Systems, Water Softener and Ultra Filter Plant. We are a trusted name in the industry engaged in offering an exclusive range of Reno Water Tanks to our valued patrons. This range is designed using premium quality virgin polyethylene which is again sourced from trusted vendors of the industry. Our clients can avail this range in various capacities ranging from 10 liters to 1025 liters and can also get it customized to suit their exclusive requirements. This range is offered at industry leading prices.